The Poly Lumber West Chester Park Bench has a beautiful but simple design that will fit in with the decor of your outdoor living space. The straight lines of this outdoor furniture are sure to impress. Our Amish Poly Lumber Westchester Park Bench comes in your choice of a 4' length or a 5' length. 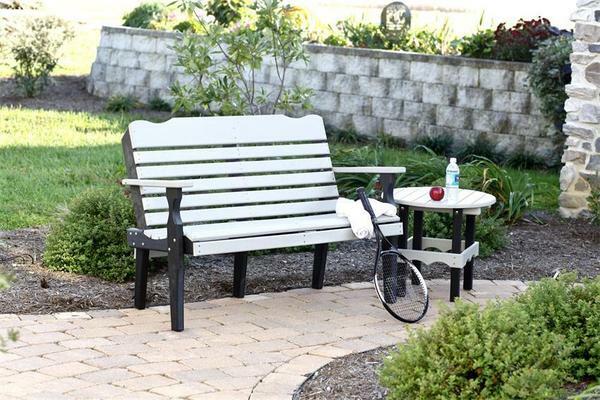 This attractive outdoor poly bench is perfect for the front porch, garden, backyard or commercial seating space. Please call one of our Amish furniture specialists today to place an order or use our easy checkout. 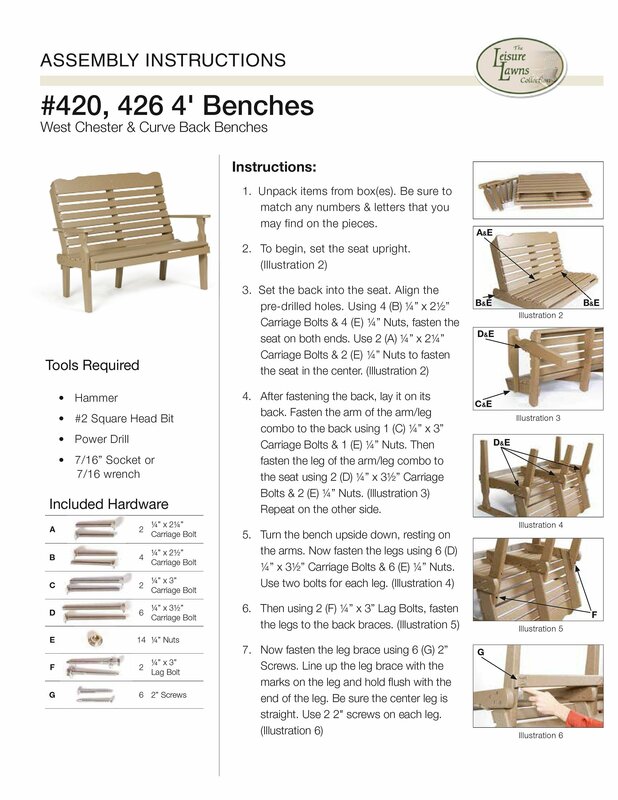 This poly outdoor bench usually ships within 2-4 weeks of purchase.